Facebook, LinkedIn, and Google+ have their own versions of business pages. Now, Amazon and Pinterest do, too. Amazon introduces business pages for merchant use. Amazon has quietly launched what it refers to as Amazon Marketing Services, which is a suite of self-service tools that merchants can use to promote their products. The suite contains three components: Amazon Pages, Amazon Posts, and Amazon Analytics. Pages encourage customers to learn about a merchant’s brand and purchase products. Posts deliver social content that can appear on both Amazon and Facebook. 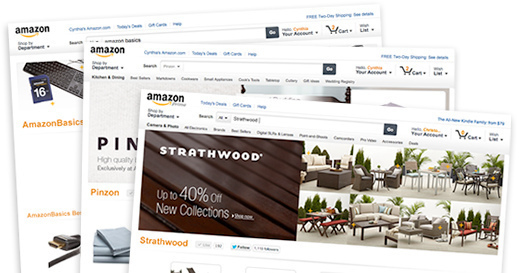 Analytics measure the effectiveness of a merchant’s marketing promotions on Amazon. “Your products and brand message are exposed on a professional web site available to millions of Amazon viewers and buyers at no cost to you. As potential customers view your Amazon Page and read your posts, Amazon Analytics gathers a wide variety of metrics using proven Amazon ecommerce software,” states Amazon. Amazon Pages resemble Facebook fan pages in that they contain a large header image, which is referred to as a “Hero widget,” and custom URL — such as www.amazon.com/companyname. Pages also enable merchants to include buttons that link to their Facebook Pages and Twitter accounts. Merchants interested in using Amazon Pages must first register, then go through a verification process to ensure access by authorized representatives only. Here are the steps to create an Amazon Page once the application has been approved. On the top navigation bar, click the brand menu, and then click your company name. On the Select Template page, click the template that works best for your current marketing goal — All Products, Products and Posts, or Posts Only — and then click Next. In the Page Editor, click in the Hero Widget box and begin personalizing your page. It is conceivable that smaller merchants could use an Amazon Page as their primary ecommerce site in lieu of more traditional shopping carts. Amazon offers a user guide in PDF form that describes each feature in detail. Pinterest recently launched business accounts. Popular social scrapbooking site Pinterest has launched its own version of business pages. Though lacking the same layout as Amazon or Facebook Pages, Pinterest presumably hopes the thousands of businesses that have established a presence on the site will switch to business accounts. 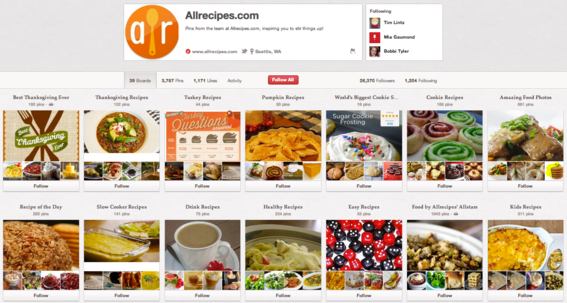 “We want to help more businesses provide great content on Pinterest and make it easy to pin from their websites. Today, we’re taking a first step toward that goal with some free tools and resources,” said a Pinterest blog post announcing the new service. Pinterest business accounts allow merchants to specify their business names instead of a first name and last name — such as www.pinterest.com/companyname. Like Amazon, businesses are required to go through a verification process to ensure they own the website associated with the account. Businesses that already have a Pinterest profile can easily convert to a business account. The following business categories are available. Businesses that have no Pinterest presence can register to create a new account. Here are two examples of Pinterest business accounts. 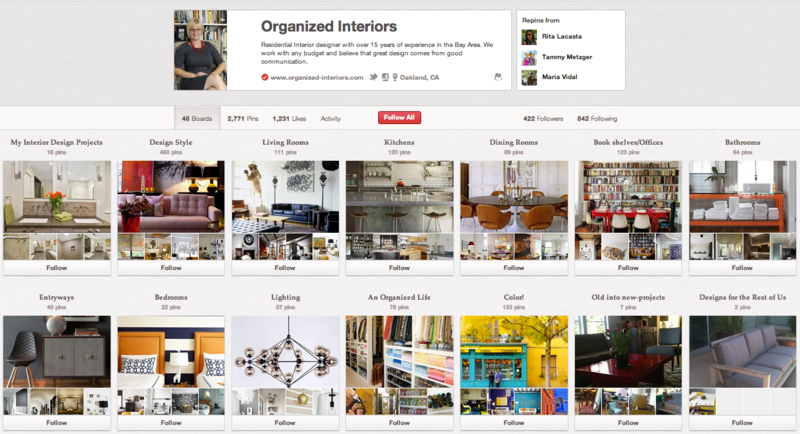 Organized Interiors Pinterest business account.